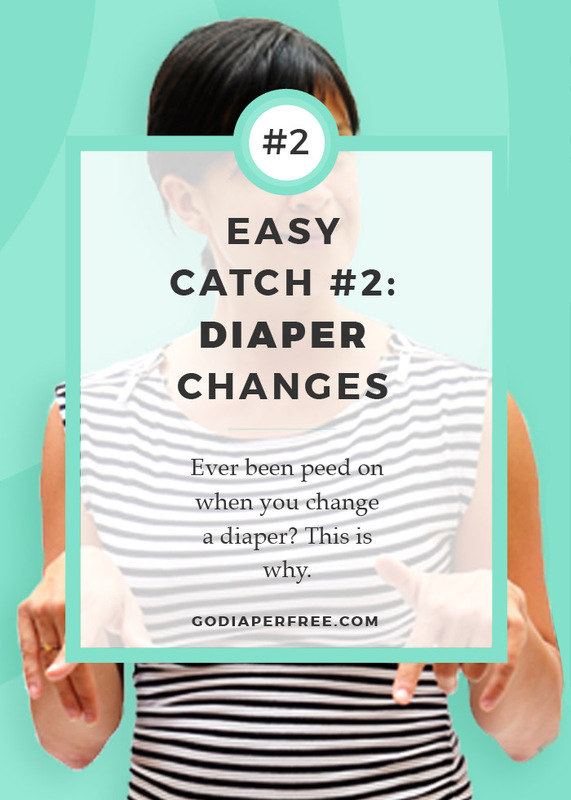 If you've ever gotten peed on when changing your baby's diaper, you will probably benefit from this easy catch (#2 of 4). Let's not get peed on again! When you change your baby's diaper, you can offer the potty even if baby is already wet. Oftentimes, our babies only let out a pre-pee to save some for later, for when the diaper comes off...because babies won't ever hold it so long that they hurt themselves. 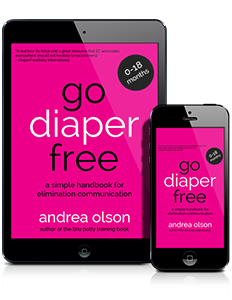 how this ONE easy catch, alone, can set you up for potty training success (if you end EC on that note). Please report back in the comments below after you've tried this easy catch. Did it work? Have you done it before? Did you learn anything new? I look forward to reading and replying to your comments! I was babysitting a 7 month old and she peed every time I changed her diaper. Drea never did that even when I wasn’t doing EC with her, so it was new for me. I think next time I will ask the parents if I can potty their baby. Oh definitely! Let us know if they do and what happens. I bet baby’s instincts are still in alignment with hygiene. Diaper off? Time to pee! Our 7 week old was peeing almost every time we took her diaper off for the first few weeks. Now she doesn’t pee on the changing table, maybe because she knows she’ll get a pottytunity when the diaper comes off! I do this catch *every* diaper change, day or night, with on and off success. Baby got used to it pretty quickly, and so did I, that is is just part of the routine. I also have a friend who says with absolute certainty that his son pees when he takes the diaper off because of the cold air. The way he said it was so convincing, but I know it is baloney! I will refer him to this video! Thank you, Andrea! When our second was born, the midwife showed us this catch and it was so cool because when the baby would fall asleep nursing I would change his diaper to wake him up and then sit him on the potty and nearly every time he would pee and poo and then be ready to finish his feed. It was almost like he was waiting for us to put him in the potty, which from this video he probably was! We never had a blowout or diaper rash like we did with our first. Yep, I do this every time. If he doesn’t go when I offer then I’m pretty confident I won’t get peed on during the change. I wish I had done this when my daughter was a baby (she’s 3 now). I kept a prefold under her for changes cuz she’d pee every time, but I didn’t know enough about EC then. Is there any risk of offering the potty too much with every diaper change? Up until now I’ve been doing very casual ec with my very active 7 month old and now she cries when I offer her the potty. Thanks for the video and awesome site! I love your book! Our little one is 4.5 months old, and we have been doing EC “casually” since she was about 2 months old when I noticed these diaper-change pees! We have been catching almost every poo with signals, and while we have not found pee signals we catch a fair number just by offering in the morning/after long naps, and during diaper changes. This had been going great until about two weeks ago. But now, the *second* the diaper is off the peeing begins which means I end up getting peed on a lot because I don’t get time to place her over the potty. Any tips? ?